Does my credit score consider information not on my credit report? There are a lot of myths surrounding credit scores and how they are calculated, or, put another way, what information is and is not considered in your credit score. Credit scores are based upon information on the credit report. This is the only information used to calculate scores, and predict credit behavior. Since there is often confusion of what is and what is not used in credit score calculations, below should help out a lot. 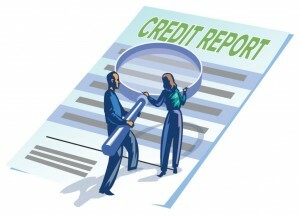 Which data is and is not included in a credit report? Personal Information such as name, address, date of birth, Social Security Number and employment data (where you work(ed) only) are included. Account information. Account information includes loan amount, credit limit, balance, payment dates, payment rating and history, to name a few. Collections by 3rd party collection agencies. Public records like judgements, tax liens, bankruptcy, etc. are reported. Inquiries, when and where, but not for how much, and why you applied for credit. Inquiries initiated by you are called “hard” inquiries, which are results from applying for new credit such as credit cards, vehicle loans, mortgage, etc. Go here for more on inquiries and the myth surrounding their impact on your credit score. Medical history is not included, although medical collections via a 3rd party collection agency may be. No arrest or criminal records are reported. Property tax records are not included. Insurance premiums or insurance claims are not reported. Personal information like gender, marital status, race, religion, nationality, political affiliation and personal lifestyle is not a part of your credit reports. Inquiries initiated by you online, called “soft inquiries” are not reported and have no effect on your credit score. Financial Institution accounts like checking accounts, savings accounts, CD’s, or investment accounts. NSF checks will appear if sent to collections. While some of the above information like income and assets may be considered by lenders such as mortgage banks, and auto finance companies, etc., in their decision process, you need only be concerned about the information that is reported on your credit reports as far as your credit score in concerned. Information not reported on your credit reports does NOT impact your credit score. After years in the mortgage business, Blair has been one of the foremost credit experts and debt Counselors in the Dallas/Fort Worth area since 2006, with a passion for helping folks manage their credit and debt rather than letting it manage them. As a father of 4 and a love for teaching, Blair not only advises, but guides and educates toward a more fulfilling financial life. Julia, Call me anytime at 817-886-0302 ext. 3 and I will be glad to help you.